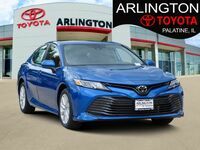 Customers looking for affordable and reliable vehicles will often look at Toyota and Honda models. The two are great competitors to each other in terms of pricing, safety, reliability and other various factors. To outsiders, the two brands may seem similar in their offerings but the appeal of the two automakers is very different. You may be asking yourself, what brand is better? To give you a better view we composed this Toyota vs Honda brand comparison. Toyota is known for producing safe, reliable and affordable vehicles across its entire lineup. 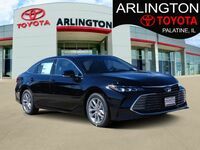 Toyota focuses on a broad appeal to give customers a variety of options from compact to midsized sedans and family-friendly to off-road capable SUVs. We've focused on a number of things that gives Toyota the upper hand in the market. 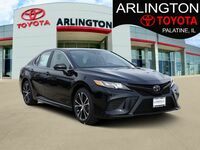 If you are looking for a reliable, stylish and affordable vehicle in the Chicago, Schaumburg, Barrington, Lake Zurich and surrounding areas contact us today at Arlington Toyota. In the past years, Toyota has stepped up its already impressive game when it comes to safety to include standard safety features for many of its vehicles. For the 2017 model year, Toyota had many of its models awarded a Top Safety Pick or Top Safety Pick+ award as well to emphasize Toyota's safety quality. Toyota also created Toyota Safety Sense (TSS) which is a suite of safety systems designed to help prevent a potential collision. 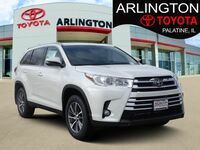 TSS is standard on many 2017 and later Toyota models including the RAV4, Corolla, Highlander and much more. Toyota has been leading the industry in eco-friendly and hybrid technology for years. The iconic Prius remains at the top of the hybrid market and over the years Toyota has extended its hybrid offerings immensely. There is now a total of 9 hybrid vehicles offered by Toyota some of which are based off already popular models like the RAV4 Hybrid, Camry Hybrid, Highlander Hybrid and Avalon Hybrid. Toyota has also extended the popular and innovative Prius to create the Prius v, Prius c, and all-new Prius Prime. Toyota is dedicated to customers ns many ways and its ToyotaCare package shows its dedication to safety and its customers. 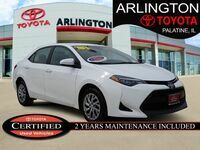 ToyotaCare is a no cost maintenance plan that comes with the purchase or lease of every new Toyota for 2 years or 25,000-miles, whichever comes first. 24-hour roadside assistance which covers battery jump start, lockout protection, emergency fuel delivery, tire service, and towing is also included in this plan. Toyota makes it easy for customers to take care of their Toyota by sending reminders before scheduled maintenance is due. Toyota vehicles prove to be great investments for customers. Toyota is consistently ranked high in resale value. High resale value helps keep costs down during ownership and also gives customers more money back when it comes time to sell or trade-in. 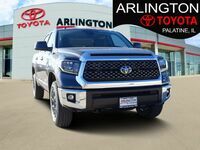 The Toyota Tacoma, 4Runner, and Tundra all offer the highest resale value for the 2017 model year but Toyota continues to be overall a great brand when it comes to resale value.